OnSight have loved working alongside Louis Devereux to cover full post production on the feature Documentary The Rift, including conform, online, audio, grade and deliverables, with a theatrical finish. The Writer, Director and Producer for this feature doc is Louis Devereux, with William Honeyball as the Editor, Ludo Brockway as the Cinematographer and James Smith as the Composer. 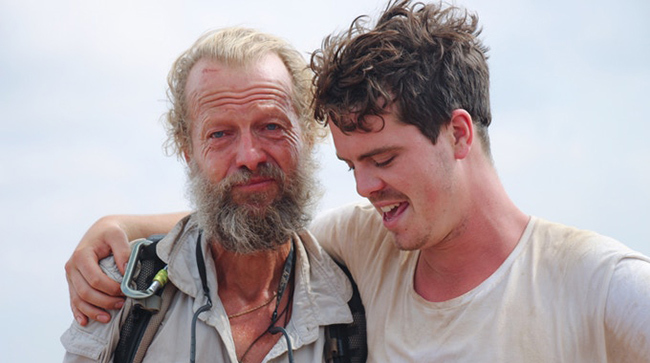 The Save the Rhino team came up with the idea of walking the Rift Valley, in September 2015 Robert Devereux, father of Louis Devereux adventurer and philanthropist, set out to do it himself, attempting to become the first person in the world to do it in one go! "The Rift" tells the stories from this unique and wonderful adventure, as well as looking into the developing father and son relationship between Robert and Louis and how it matured while in Africa. The documentary is a deeply personal look into their family life, and how Louis’s parents divorce affected their family. It has a relatable feel promoting conversations, however tricky they might be and showing that expanding your knowledge of a situation can affect a relationship for the positive. Louis will also be donating 30% of the films profits to The African Arts Trust and Save the Rhino as both are very close to Robert's heart and tackle very serious issues within Africa.